THE STUFF THAT HELPS IT STICK! Ultra-Bond Adhesion Promoter by The Real Milk Paint Company is mixed at a 1 part of Ultra Bond to 4 parts ofReal Milk Paint. 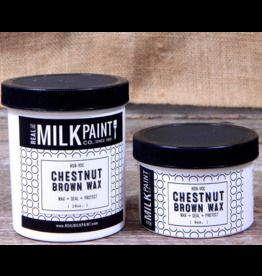 Add 25% Ultra Bond to the liquid milk paint. IMPORTANT: Add Ultra Bond to mixed milk paint. For example, each Quart ( 32oz ) of milk paint would require 8 oz of Ultra Bond. More Ultra Bond can be added for difficult surfaces. Always do a test for compatibility and allow 24 hours to dry. Ultra-Bond Adhesion Promoter is a concentrated No Odor Water base Binder in water; it is non-toxic and releases no VOCs. 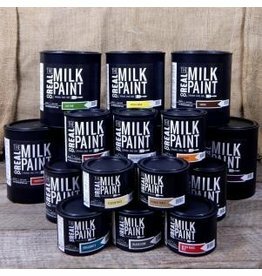 When combined with Real Milk Paint ® it will give greater adhesion to non-porous surfaces and previously painted surfaces, such as ones painted with our non-toxic paint. Surface should be clean of any wax, grease or silicone residue. Clean with TSP or other non-residue cleaner. Scuff/sand the surface to promote mechanical adhesion. 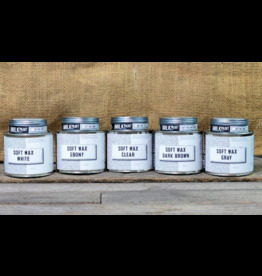 Mix 1 part Ultra-Bond to 4 parts liquid Real Milk Paint ®. Apply this as the first coat. Paint remaining coats with unadulterated (pure) Real Milk Paint ®. Always do a test and allow 24 hours to dry before full application.